When Andrew Heaney was in high school, his baseball coach, Brandy Vann, told him he would play in the major leagues one day. Heaney’s family dismissed the thought. Vann saw a lanky, left-handed, nearly 6-foot-2 high school junior whose pitch could clock in at 82 m.p.h. on the radar gun. Heaney’s family saw an average player at best, although he had been playing since tee-ball. It was in high school that he started to develop the slider that would eventually become his strikeout pitch and his vehicle toward baseball stardom. 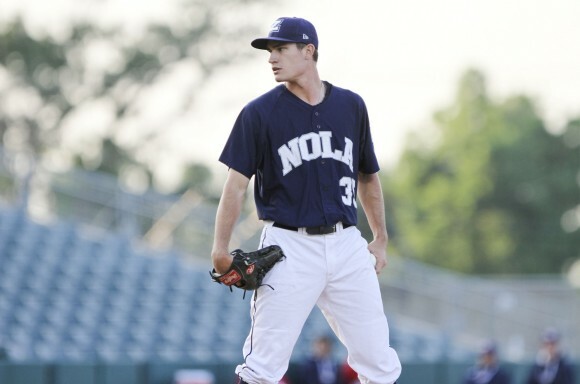 After playing 34 games in the minors over the course of almost two years, Heaney was promoted to Class AAA New Orleans on May 20 — bringing him one step closer to the big leagues. Heaney is the number one prospect in the Marlins organization and is rated as the top left-handed pitching contender in baseball, according to MLB.com and Baseball America. His fastball ranges from the lower to mid-90s and his slider can be devastating. When Heaney was in high school, his parents sat in the stands at Putnam City High School in Warr Acres, Okla., a town of 10,286, and tracked the number of strikeouts he made in a game by making marks on a styrofoam cup. Mark Heaney, Andrew’s father, recalled one instance when the family did not think he pitched well, but when they looked at the cup after the game, they had made 14 marks and realized he had 14 strikeouts. “He was never a kid who was expected to do anything,” his father said. As a tall and still thin almost 23-year-old, Heaney is not considered an imposing physical force, but scouts have called him deceptively strong. Heaney was 4-2 with a 2.35 E.R.A. and 52 strikeouts after cruising through nine games this season with the Jacksonville Suns, a Class AA team. Heaney said he is, of course, happy, but the promotion is bittersweet. 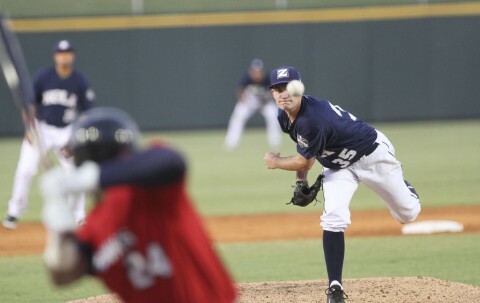 So far his start with the Zephyrs has been smooth. In his first outing recently he allowed one run on seven hits in five innings and struck out seven. Yet, like many players who eventually want to make it to the majors, the real test is playing against seasoned athletes and flourishing. Class AA is usually the level for an organization’s young talent, and is used as a place for those players to develop until they are ready for the major leagues. A Class AAA clubhouse is also mixed with young up-and-comers, as well as players who have major league experience. Now that Heaney is Class AAA, it does not necessarily mean there is a reason to rush him to the majors. “Majority of guys don’t go there and stay forever. Most of them have a trip or two back,” said Corbell. For example, Jordany Valdespin, who is a few lockers down from Heaney, is trying to make his way back to the majors after spending parts of the last two seasons with the New York Mets. Anthony DeSclafani lasted two starts in Miami earlier this month before being optioned down to Class AAA. Henry Rodriguez, a reliever also with the Marlins, pitched poorly during his last stint in the majors, so he was sent back to the Zephyrs. There are many takeaways from their careers, but in Class AAA, there are some aspects of the overall learning curve that are not associated with on-field performance. Heaney said he is learning some of the differences in mundane responsibilities, like making travel arrangements for his wife when she comes to town. “It’s little things like that, that helps kind of just ease your mind,” Heaney said. Heaney has also found ways to settle into a new clubhouse. Before games, he sometimes relaxes by playing Ping-Pong and reconnects with his other new teammates that he met during spring training. His laid-back demeanor in the clubhouse translates into poise on the mound, perhaps an aid in his transition into a new level of competition. “The good ones that handle the pressure and can create the good pulse rate when they get on the mound in a big game, those are the ones that stay there for a long time and continue to perform at a high level,” Corbell said.